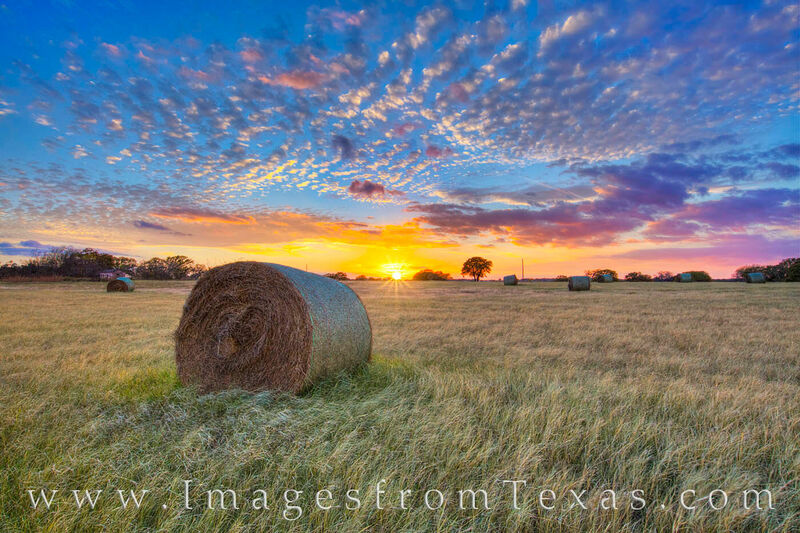 Under an amazing Texas sky, bales of hay are ready for the winter harvest. It was a bit windy on this evening, but the colors left me no choice but to wander out in this grassy field and capture the fleeting sunset. Photo © copyright by Rob Greebon.